In celebration of Wales being proud hosts of the 2017 UEFA Women’s Champions League Final –Thursday 1 June, the search is on for the Voice of Wales. A social media campaign will encourage entries from people throughout Wales, from young to old, to record themselves singing Hen Wlad Fy Nhadau and post on Facebook www.facebook.com/VoiceofWales2017 using the hashtag #VoiceofWales. There is a fantastic prize of 4 tickets plus an official match ball to be won. The best and most original videos will be selected to form a film montage. Wales is renowned throughout the world for singing and with the UEFA Champions League coming to Cardiff in June the spotlight will be on our country. If you want to enter Voice of Wales, or know a friend, family member, colleague or a group of people who should be represented simply post a video singing a verse of the anthem to your Facebook timeline mentioning #VoiceofWales. Cor Glanaethwy, the North Wales Choir made famous by their success on Britain’s Got Talent, got the ball rolling by recording their own rendition of the National Anthem. 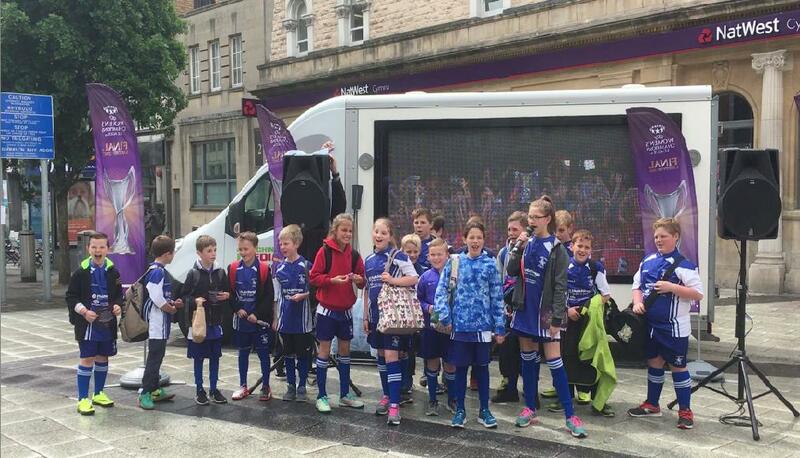 A special mobile digital screen and recording unit was in Cardiff City Centre to get members of the public to join in using Cor Glanaethwy as a backing track. The competition ends at Midnight on Friday 19 May, winners will be judged up until 26 May. The winner will be contacted by Facebook Messenger on 29 May. 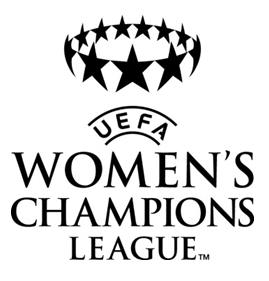 The UEFA Women’s Champions League Final is on Thursday 1 June at Cardiff City Stadium, kick off 1945. The free UEFA Champions Festival opens in Cardiff Bay on the same day and people who have entered will be able to see the final selected montage of #VoiceofWales clips on big screens at the Festival.